The NonProfit Times survey and recognition program is “dedicated to finding and recognizing the best employers in the nonprofit industry”. 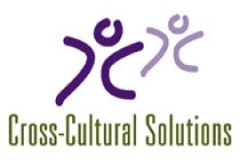 CCS was listed with 49 other organizations who were evaluated based on workplace policies, demographics, as well as employee responses about their experience at work. One of our IVPA Members is in the running for the Chase”Big Ideas” contest $500,000 prize! Below is some information on Amigos and their “Big Idea”. 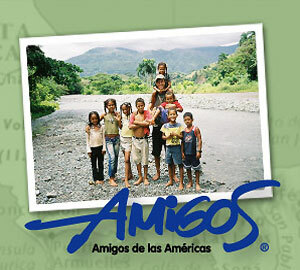 AMIGOS’ Big Idea is to empower young people to be leaders, today and tomorrow. With $500,000 we can open doors to one of this country’s most exciting and effective youth leadership programs. With $500,000, young people with big dreams from families with few resources will become agents of change, who facilitate meaningful, community-based growth. With $500,000, young people will return home after a life-changing experience within the Americas full of ideas and hope, and secure in the knowledge that they, too, can make a real impact in this global world of ours. With $500,000, a small idea that began 46 years ago – building communities through youth leadership development – can welcome hundreds of new faces of today’s Americas into a future that they will define. With $500,000, AMIGOS will strengthen intercultural relationships within the Americas and make it a better place – one young person at a time. Vote now to support the development of young leaders across the Americas! Voting for Round 2 runs from May 19th through May 25th. Winning this contest is a very attainable goal if we can get all Amigos and their networks to vote. Please vote now and forward this message on to your friends to help us win the biggest award yet, and all they have to do is click “Vote for AMIGOS” on Facebook! I have recently seen an uptick in the interest of people volunteering abroad with their families, especially families with grade school age children. Part of the increased interest is I am sure due to Spring Break and the looming Summer Break but I think it is great that parents are wanting to give their children a new type of experience, one where they are actively involved in serving and creating cross-cultural understanding. If you are interested in volunteering with your children one of the first steps would be to find an organization that can accommodate families. Not all volunteer sending organizations accept under age volunteers, even with a parent accompanying them. Every organization is different and while one organization may have the policy that only of 18 years and older, another might fully accept an 8 year old volunteer with his parent. Some organization might not have a specific age policy and so you would need to contact them to see if their programs would fit your family. From experience of working with families as they volunteer and even volunteering with my own family, it can be an eye opening experience. And while things may not go as smoothly as you envision it is an experience you never regret. IVPA is excited to announce that we will be holding two Global Volunteering Fairs this Fall! In 2008, 2009, and 2010, Idealist.org hosted several highly successful Global Volunteering Fairs in cities from New York to Los Angeles. Building on the success of these events, and with gratitude to Idealist.org, we are excited to announce that these fairs – no hosted by IVPA – will be held in New York City and Washington DC this Fall. The format for these events will be the same as previous fairs: Each fair will be a three-hour evening event where prospective volunteers can chat with representatives of international volunteerism organizations as well as attend free workshops. Registration rates will also be similar to past fairs.